Contemporary and traditional designs of Hand Woven Jute Rugs are ideal to augment your interiors in a way that is rich and rare, truly exotic in form. Today, Jute Rugs are the same that you have witnessed in 90s with two or three patterns in collections instead it has now erupted in hundreds of designs and patterns, seeing which you will remain completely mesmerized. With many new and prominent designers stepping in the domain, Hand Woven Jute Rugs Industry has taken an entirely new shape. These designers are coming up with exclusive Animal Prints, Solid and Stripped designs for hand woven jute rugs, Braided and Casual Jute Rugs, Country and Floral Jute Rugs, and more. Interior designers blessed with creativity and zeal to promote this natural fiber in national and international market are inventing new techniques of designing Hand Woven Jute Rugs that suits the interiors of home, offices, hotels, restaurants, lounges, garden area, and so forth. Owing to these designers, Jute Products including Jute Rugs has gained immense appreciation and recognition in the international market. Also, the designers continually adopt innovation to present unique designs. Hand Woven Jute Rugs are also the source of income for many tradition craftsmen who are making Jute Rugs since generations. Jute Products are little costlier owing to less promotion and lack of attention by the government in the sector. However, how many of us really think twice before investing on a foreign brand? So, why not invest on something that is truly Indian, natural, durable, attractive, unique, and eco-friendly. Also, introducing Jute products at home and offices is the best way to take a step closer towards nature. 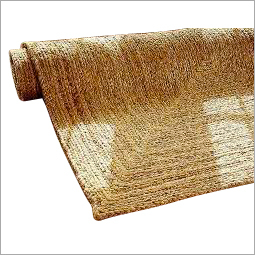 Advent of online marketing and shopping facility, many manufacturers and suppliers of Hand Woven Jute Rugs showcase their products on Internet that increase the reach of the products among genuine buyers. The next time when you think of buying rugs or carpets then buying these eco friendly hand woven jut rugs would be a wise and fine choice.